Thank you for your interest in Small Assemblies, Inc. As a hands-on, family owned job shop since 1959, we have always provided our customers with a one-on-one relationship and a willingness to go that extra mile. We are an ambitious company whose main objective is to provide you, as a potential customer, quality die castings and personal service. Our quality commitment is carried through the personalized service that creates long term customer relationships. When in search of precision tooling and die casting capabilities, many companies have relied on Small Assemblies for consistent quality, craftsmanship, and competitive pricing. We have a long history of repetitive manufacturing. We pride ourselves on continuous quality improvement ensuring our production is consistently reviewed which mistake proofs our processes to elimate possible defects. 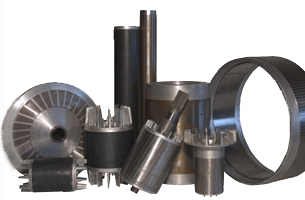 We provide aluminum or copper die castings for various components including rotors for electric motors. 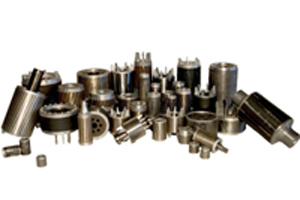 Each of Small Assemblies rotors are fed by either an electric or gas-fired furnace, by hand or automatic ladle. Molten aluminum, zinc or copper is transferred into die cast machines and injected into each part. 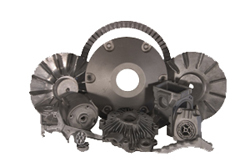 Small Assemblies' full service capabilities, to include secondary machining and finishing operations, makes us your one-stop die casting source.. Please feel free to contact us if you require additional information. We look forward to discussing with you how our skills and expertise can improve your product and save you both time and money.